OUR SMALL GROUP TUESDAY WALKING TOURS ARE AIMED AT VISITORS AND NEW SINGAPORE RESIDENTS, BUT WE FIND EVEN "OLD TIMERS" LEARN A LOT. WE KEEP TO A MAX OF 10 AND PACE THE WALK TO TAKE OUR SULTRY CLIMATE INTO ACCOUNT. LOTS OF WATER AND AIRCON STOPS ARE INCLUDED! DUE TO THE SMALL GROUP SIZE THE PRICE IS JUST A LITTLE HIGHER. 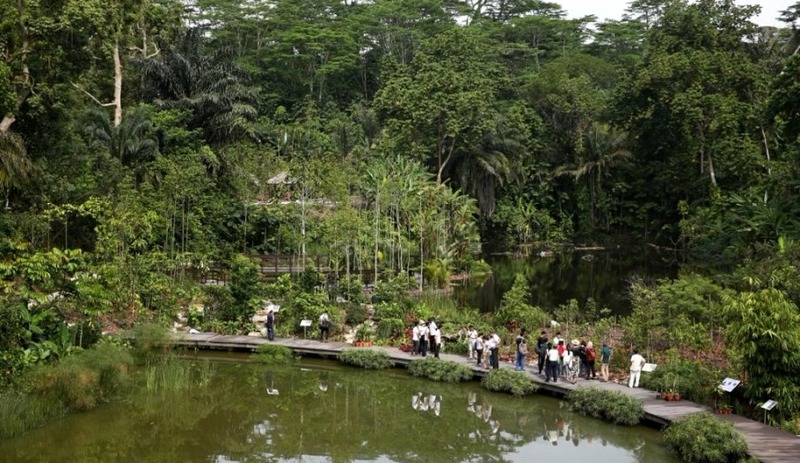 We all know how beautiful and important to our heritage and well being the Singapore Botanic Gardens are, but who are the men and women — the botanists, artists, conservationists and others — who left their imprint on our one and only UNESCO site (to date)? Learn about Lawrence Niven, hired in 1859 as its first superintendent and landscape designer to turn what had been overgrown plantations and a tangle of virgin rainforest into a public park, reflecting the style of the English Landscape Garden Movement. With its dynamic duo of flora — the rubber and the orchid — our Gardens helped to revolutionise our local industries. Meet "mad" Henry Ridley, director of the Gardens from 1888-1912, and the far sighted visionary and proponent of the humble rubber tree. See the amazing orchid hybrids including those which have been cultivated for VIP visitors, and learn about Professor Eric Holttum, the director from 1926-1949, who initiated the orchid hybridisation and seed germination programme in the Gardens. Also learn about the only father and son pair to hold the post of Director, Isaac and Humphrey Burkill, after whom Burkill Hall is named. Discover E J H Corner, the Assistant Director from 1929-1945, who was an expert on fungi and tropical trees and palms who went on to become professor of Tropical Botany at the University of Cambridge. His colonial house is now a restaurant and bears his name. And let's not forget the women! Firstly there was Ursula Holttum, wife of aforementioned Eric, who sculpted the famous sundial (see pic below) installed in the Gardens in 1929. Then there's the wonderful Lady Yuen Peng McNeice who funded so many conservation, research and education projects, and in 1994 donated a unique collection of 20,000 bromeliads, as well as several sculptures; she also sponsored the publication of two books about the Gardens. We'll also see some of the Gardens' 58 majestic Heritage Trees and learn the stories of the fauna who have made their home here. 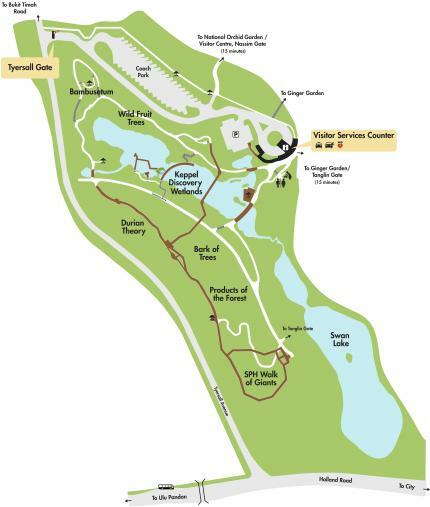 And we'll end our walk with a visit to the recently opened Learning Forest, the buffer zone for our UNESCO heritage site, where we'll focus on the trees in the Wild Fruit Trees Arboretum.